So these are the shorts I told you about in my last post. Although they aren't my favorite, and they are a bit short for school, they hold a special place in my heart because they are the first item I was ever gifted by a brand when I started my blog. So thank you, OASAP! Also, got my haircut as you can see. I really do prefer it longer, it's less curly that way, but the ends were getting pretty split so I had to chop it off. 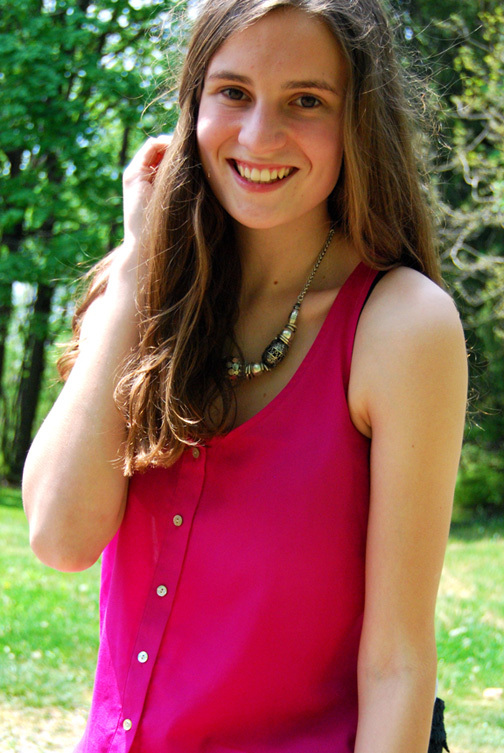 the VANESSA MOONEY giveaway I'd hinted about earlier! I opened this one up early for extra entries, but no one was able to guess which necklace I was giving away. 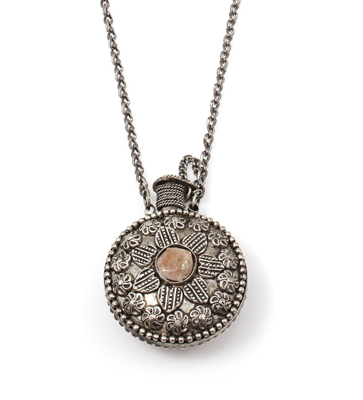 One lucky reader can win the Just Kickin' It Rock Medallion Necklace, a $77 USD value, pictured below. You'll get to see me style the same one in the next few weeks. WE CAN BE TWINS!!!! Make sure to enter in the Rafflecopter form below. I've disabled comments to avoid confusion.